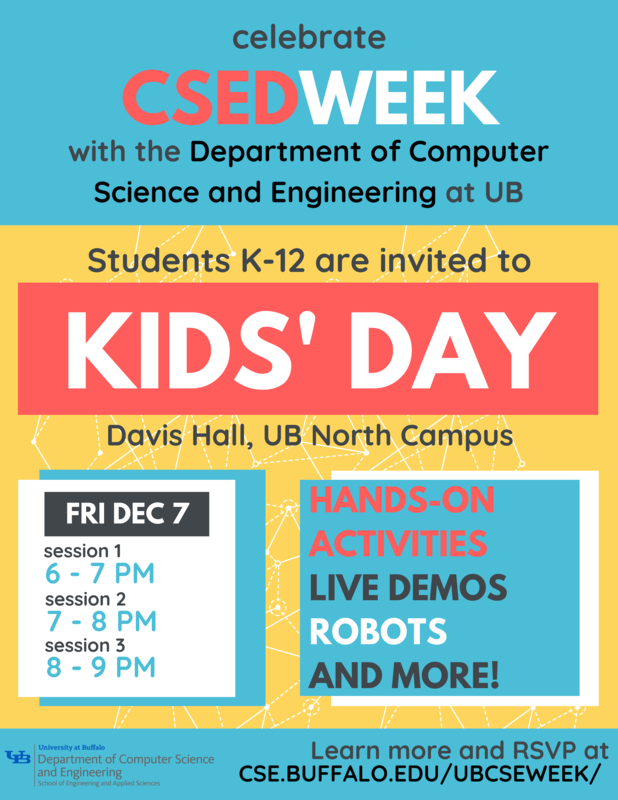 K-12 students are invited to CSE Kids' Day, a night of fun activities and demos hosted by the Department of Computer Science and Engineering at the University at Buffalo. 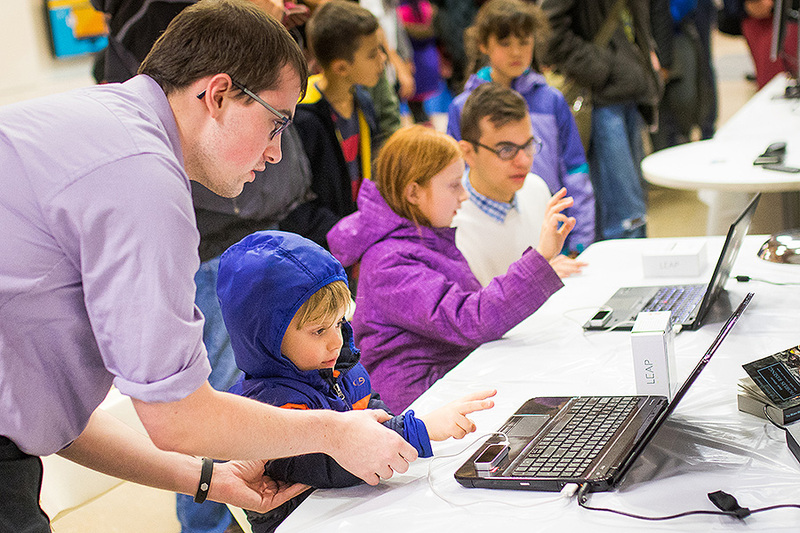 Attendees will be able to explore computer science through hands-on activities and live demonstrations of projects created by current CSE students. 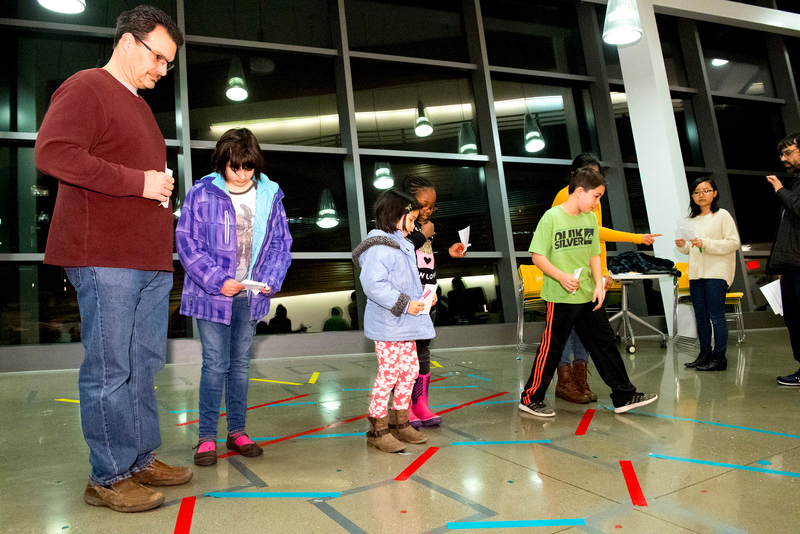 Students enjoy hands-on CS puzzles and fun activities like this sorting maze. Students see what UB students build on their own and in classes, like this virtual sign language program. The event is part of national Computer Science Education Week, which celebrates the birthday of Rear Admiral Grace Hopper, a computing pioneer. Further details about activities and demos will be posted here closer to the event. Please fill out the RSVP form below to sign up for CSE Kids' Day. In the form, choose only one of the three sessions above. We will cap each slot to about 300 total participants and they will be allotted on a first-come-first serve basis. * Please note that any participant below the age of 18 has to be accompanied by an adult. If you would like to spread the word about CSE Kids' Day, feel free to use this poster! Copyright © UB Computer Science Dept.